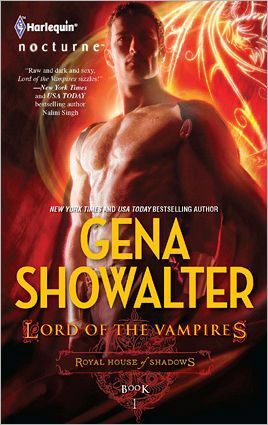 The Knight Agency Blog: Chat with Royal House of Shadows Authors--Gena Showalter, Nalini Singh, Jessica Andersen and Jill Monroe--THIS Thursday @ 9pm ET! Chat with Royal House of Shadows Authors--Gena Showalter, Nalini Singh, Jessica Andersen and Jill Monroe--THIS Thursday @ 9pm ET! Do you love fairytales? Would you love to read amazing retelling of your favorite childhood stories with the added twist of paranormal romance? Join us this Thursday September 29th at 9PM to chat with Gena Showalter, Nalini Singh, Jill Monroe and Jessica Andersen. If you love any of these authors' books, imagine what they created all together! We will be doing some fun give aways and these four ladies will be ready to answer all of your questions. Yay! That's wonderful news, I'm a great fan of Nalini Singh. Just posted a notice on my FB page. Thanks for this nice opportunity to spend some time with our favorite authors! Going to try my best to be there! I'll be in my bed but have a great time everyone!